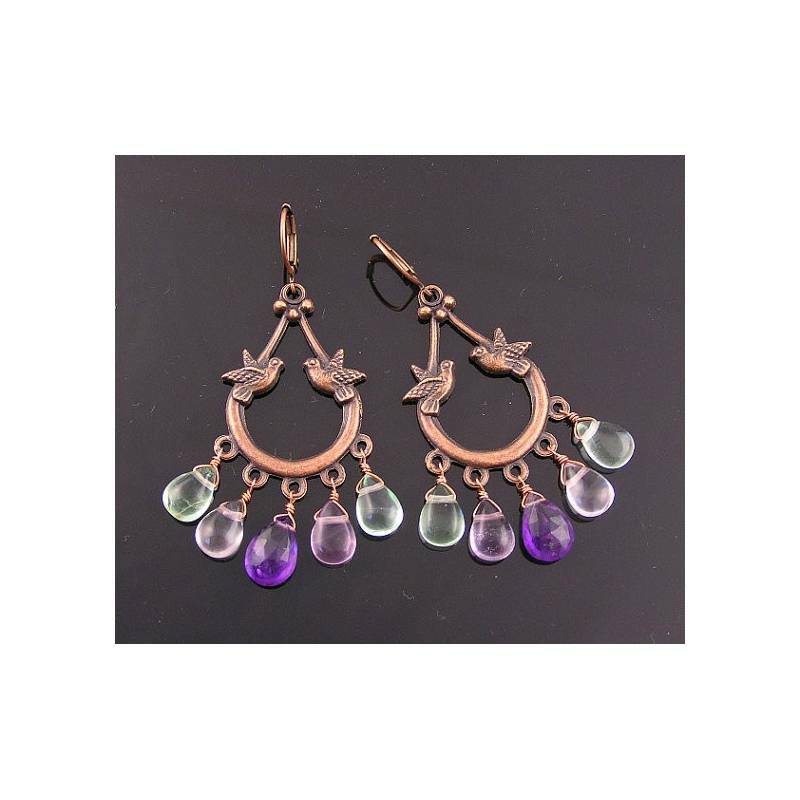 These are larger, eye-catching chandelier earrings. 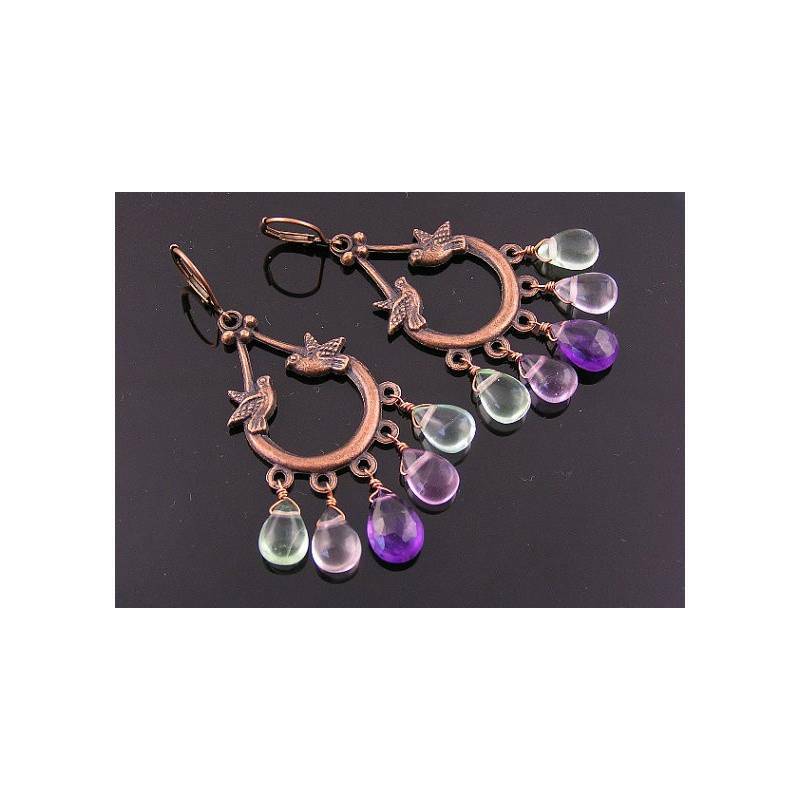 These are beautiful, oxidised chandelier links in the traditional drop shape. 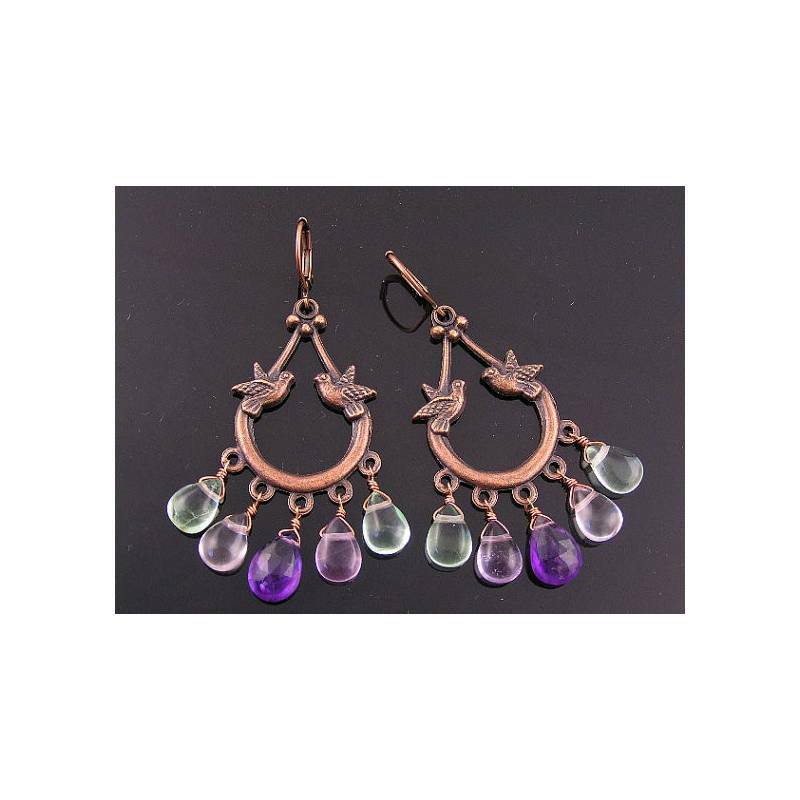 I chose green and pale purple smooth Fluorite drops and a deeper faceted Amethyst briolette for the middle to enhance the lovely chandeliers. 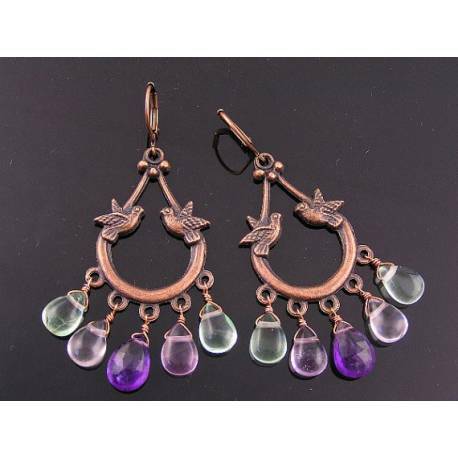 Connected to secure lever back ear wires, the earrings measure 6.5cm in length. 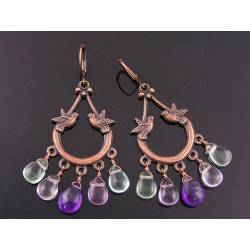 All wire is solid copper, chandeliers and ear wires are antiqued copper finish.